See below for some of our favourite resources for international students looking for jobs. A number of general sites are listed, or you can scroll down for country/region-specific information. Please note these links are provided for information purposes. Links to external sites should not be taken as a recommendation or endorsement of the external site’s information, products or services. We cannot guarantee that these links will work all of the time. This website does not endorse or favour any specific commercial product or business. A link to a third-party website does not imply endorsement; you must use your own judgement to decide whether the information or service on that website is suitable for your needs. Finance and compensation information: taxes, housing, transportation, cost of living, medical insurance, vacation/leave, pensions, social security, and more. Visit http://www.goinglobal.com/ for a publicly-accessible version. If your careers service subscribes to Going Global you may be able to access a fuller version through their website. Passport Career is a great resource for students thinking about a global career. If your university subscribes, you will find advice and guidance on over 80 countries, have access to monthly webinars and get career, CV, application and cultural advice. Countries covered – Angola, Bahrain, Cote d’Ivoire, Egypt, Ethiopia, Ghana, Israel, Kenya, Lebanon, Morocco, Mozambique, Nigeria, Qatar, Saudi Arabia, South Africa, UAE, Zambia. Their helpful blog is here, and you can check if you have full access by going to your careers service’s website. Australia, Austria, Belgium, Brazil, Canada, China, Cyprus, Denmark, Finland, France, Germany, Iceland, India, Ireland, Italy, Malaysia, the Netherlands, New Zealand, Norway, Poland, Portugal, Singapore, South Africa, Spain, Sweden, Switzerland, Turkey, the UK, the United Arab Emirates (UAE) and the USA. What are your options for finding graduate jobs and internships abroad? Will your degree be recognised in a different country? How do you go about moving overseas for work? In this section, specialists from AGCAS answer your working abroad queries and point you in the direction of useful sources of info on working and living abroad in specific countries. Find information on language requirements, where you can work, job hunting tips, application methods and visa basics. Australia, Austria, Belgium, Brazil, Bulgaria, Canada, China, Cyprus, Czech Republic, Denmark, Finland, France, Germany, Greece, Hong Kong, India, Ireland, Italy, Japan, Latvia, Lithuania, Malaysia, Mexico, New Zealand, Norway, Pakistan, Poland, Portugal, Romania, Russia, Saudi Arabia, Singapore, South Korea, Spain, Sri Lanka, Sweden, Switzerland, the Netherlands, the United Arab Emirates and the US. Build and/or submit your CV for our employers to search using Go-CV! GradLink currently includes sections for China, South-East Asia (ASEAN), the Gulf, Canada, Africa, India and Bangladesh. Further country sections will be added in the future. Global Career Company are a recruitment consultancy specialising in Africa, MENA, Asia and Central Europe. GradLink GULF | GradLink GULF is a specialist careers website for students and graduates from the Gulf region who are studying in the UK, providing links with employers and jobs in the area. GradLink ASEAN | GradLink ASEAN is a specialist careers website for students and graduates from Southeast Asia who are studying in the UK, providing links with employers and jobs in the ASEAN countries. Joint University Hong Kong Careers Service (JUCS) – connect Hong Kong students in the UK with employers at home and organise events. GradMalaysia.com | website providing jobs, internships, information and advice for students and graduates. 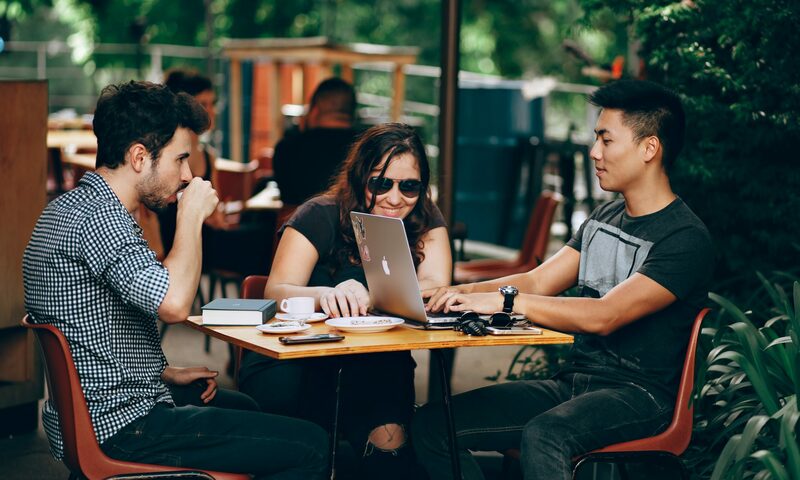 GradConnection | is a resource for international students who are looking to find graduate jobs and internship positions Graduate Jobs in Singapore, Hong Kong and China. By registering with GradConnection you can search for tailored career opportunities based on your nationality and your degree. GradLink India | GradLink India is the award-winning specialist careers site for students and graduates from India who have or are studying in the UK. It is the essential place for learning about graduate opportunities and connecting with graduate employers in India who are keen to recruit UK-educated Indian graduates. GradLink Bangladesh | GradLink Bangladesh is the specialist careers website for students and graduates from Bangladesh who are studying at universities in the UK. It is the essential place for learning about graduate opportunities and connecting with graduate employers in Bangladesh. ‘Ready to Make the Move? What you need to know about living and working abroad – and so much more’ | this e-book produced by EURES has extensive information about working overseas in addition to tips and advice for finding work in all current EU countries. Vault.com | Vault contains information about a wide range of careers and industries, in addition to ‘Top Employer’ rankings and company profiles covering a number of industries. The free site can be accessed here, but if your careers service subscribes you may be able to access additional resources. TalentEgg | Student jobs and graduate jobs site for Canadian students and new graduates seeking internships, entry level jobs & summer jobs in Canada. GradAustralia.com.au | The top 100 graduate employers in Australia, plus detailed information and insider tips and insights on how to apply.